A fu yung hai is mostly something to order at a Chinese restaurant, but try it at home. It’s easy! 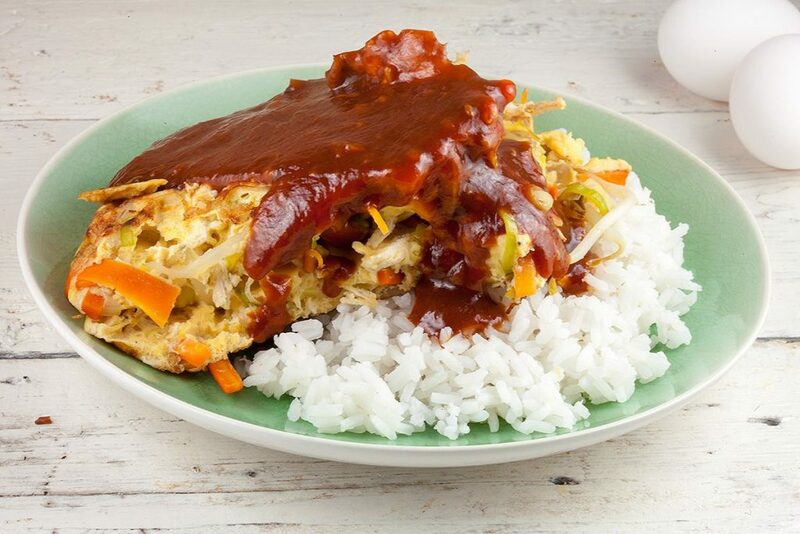 An omelette filled with veggies served with rice.